Video Recording of Dr Pillai (Baba)’s Hangout: How GANESHA Can Blast Away the Obstacles in your Life! If you weren’t able to catch it, here is the replay of Dr Pillai (Baba)’s “LIVE” Hangout which took place a short while ago. During His Hangout, Baba gave a unique introductory perspective on GANESHA, the adorable elephant headed archetype. Baba also spoke about why GANESHA is not relevant only to Hindus and India but to many different cultures. He gave the example of how GANESHA is very popular in Japan where there are many temples there dedicated to GANESHA. (1) GANESHA is the God of Shortcuts – GANESHA has a perfect understanding of Time and Space and can accomplish things in the shortest possible time. 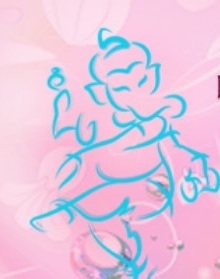 (2) GANESHA can help you attain Divine Wisdom. Human beings are rational beings limited by their 5 senses whereas GANESHA operates in a non-rationale non-linear reality and has access to knowledge past, present and future. (3) One of the best times to connect with GANESHA is on His birthday which is coming up soon on 9 September 2013. On His birthday, GANESHA will be especially present and will be able to help you achieve miracles in your life. Baba will be conducting a special webcast empowerment on GANESHA’s birthday on 8 September 2013 (9 am US EDT). ← Join Dr Pillai (Baba) on a “Live” Hangout in just a few hours to learn about how GANESHA can blast away the obstacles in your life! I see you don’t monetize your page, don’t waste your traffic, you can earn extra cash every month because you’ve got high quality content.